REMINDER: Run for GLBTRT Office! ALA Presidential candidates have been announced, petitions for additional candidates have been filed. 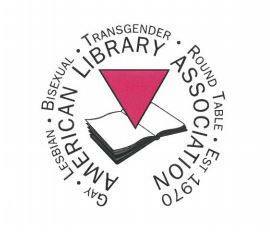 It’s time to look ahead to the 2019 ALA Elections! GLBTRT does not have a nominating committee and anyone who wants to run for office can do so by using ALA’s online election form. The ALA Elections bio-app system is now up and ready for GLBTRT members to start submitting their nominations and bios for GLBTRT Officer and Executive Board positions for 2019. All candidates running for round table positions must complete the biographical information form no later than 11:59 pm CST on February 1, 2019, after which point the form will go down and new candidates will not be accepted for the ballot. 1. You will see a Self-Register link on the first page within the bold text at the top of the page. 2. Click on the Register link to fill out the registration information and to set your passcode for the Nominee/Candidate process. 3. Once in the Nomination site you will need to select your ballot. Once you have made your selection, click on “GO”. 4. Next you will select the office you wish to run for and then click on “GO”. 5. The first entry, Display Name, is how you would like your name displayed on the ballot. Once you have filled in your name, click on “Next”. 6. When you go to the page with all of the question/categories to fill in, you will notice the word count monitor. Once you reach the limit, the word count monitor turns RED. Please remember to save your work often. 7. If you try and submit your work with one or more required questions/categories not completed properly, the system will not let you submit. If this is the case, you will notice the word “Required” by each required category or field that was missed. 8. If you hit logout, the page will turn grey, provide a notification that your work must be saved before logging out. 9. When you hit finish you will be able to view your work. 10. Once you have reviewed your work, if you would like to make any changes, click the “Previous” button and if what you have entered meets with your approval, please hit the “Submit” button and then the “Finish” button. 11. If at any time during the process, you run into technical difficulties or have a question, please click on the “Support” button located at the bottom of the page. Individuals at ALA cannot troubleshoot problems with the form. Candidates must click the SUBMIT button, and then the FINISH button to successfully submit their info. Candidates who do not complete their bio form by February 1st will not be included on the ballot. Please let me know if there are any questions or concerns with use of the form.